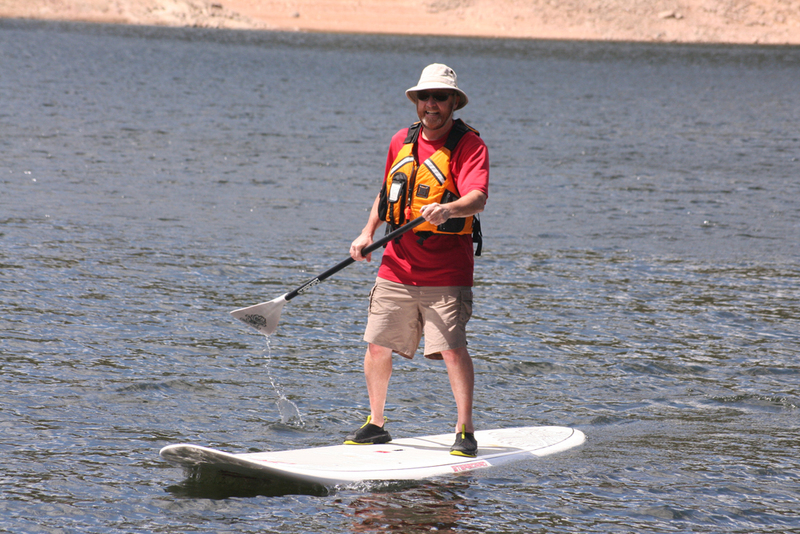 Since Gross Mountain Reservoir opened it’s “doors” to Stand Up Paddling last summer, I’ve been enjoying the ability to get in a quick paddle on this awesome lake. It’s only a few minutes from my house, so it provides a great workout in a short time period. 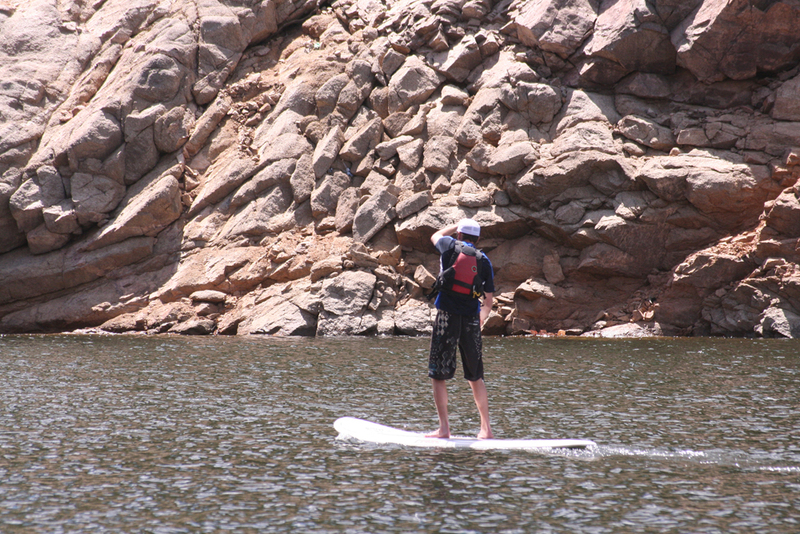 This weekend, I tried out one of our long cruiser rental SUP boards from the Boulder CKS Rental Center (Whitewater Tube Co.). I’m still somewhat new to SUP, and watching Dan Gavere’s video, “The Ultimate Guide to Stand Up Paddling”, I have been able to learn the proper technique and get some good practice in. The video helped to break the paddle strokes down in a way that was easily understandable. The concepts of the strokes are very similar to kayaking, so with a few times out on the lake, I feel like I am getting a lot better. 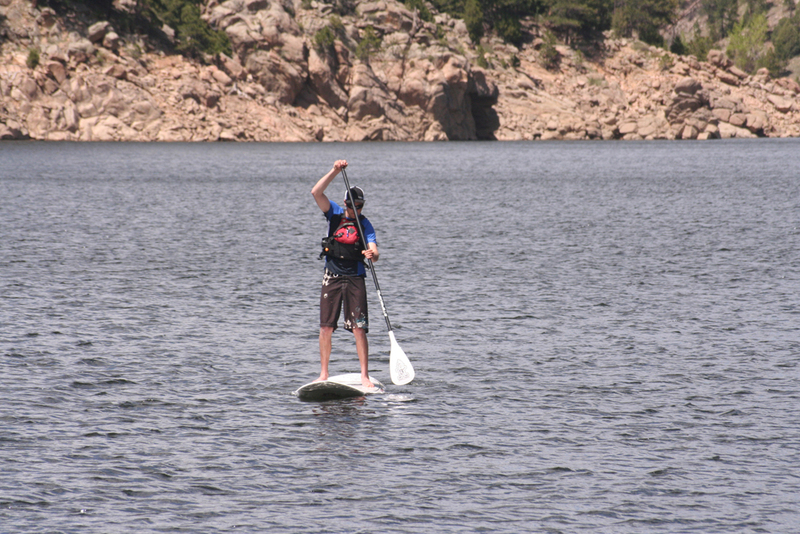 The long cruiser boards are great for getting a lot of speed and doing a big tour across Gross Reservoir. They are definitely harder to turn, so it’s really necessary to have a good, wide sweep stroke. Once up to speed, the cruiser tracked really well and covers distance in no time. 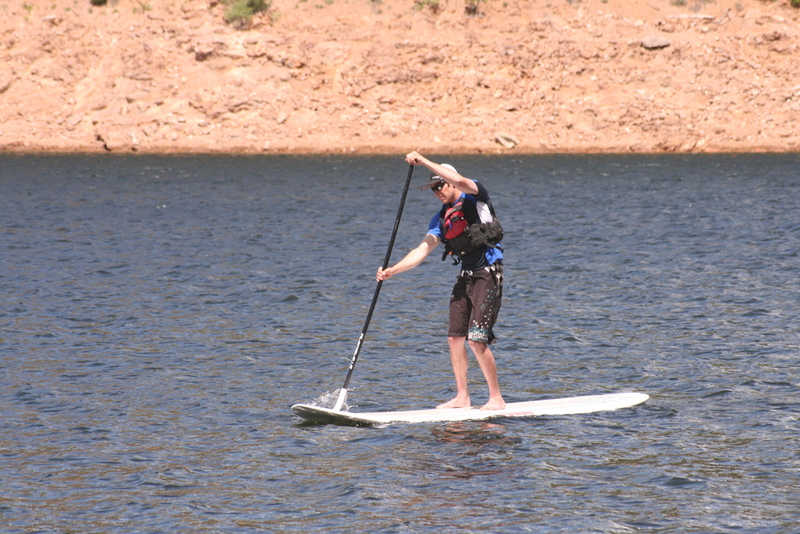 I also met a sea kayaker who enjoyed trying out the paddle board for the first time.